A matching purchase to the 1/10 ounce sister coin. 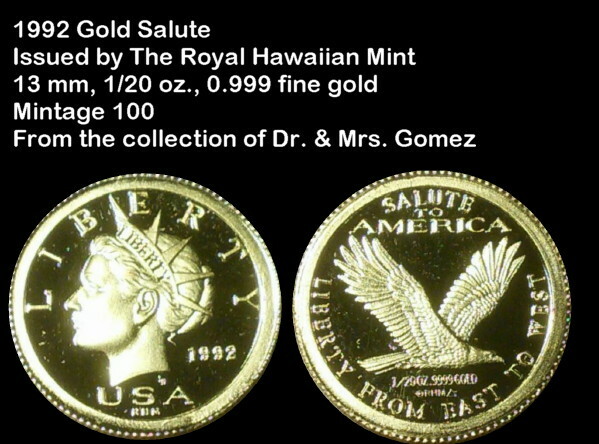 This is the 1/20 ounce 1992 Gold Salute coin. 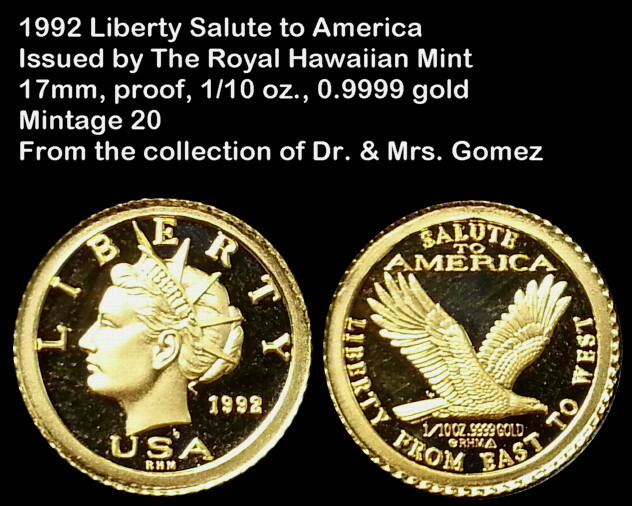 A scant mintage of 100 by the Royal Hawaiian Mint. 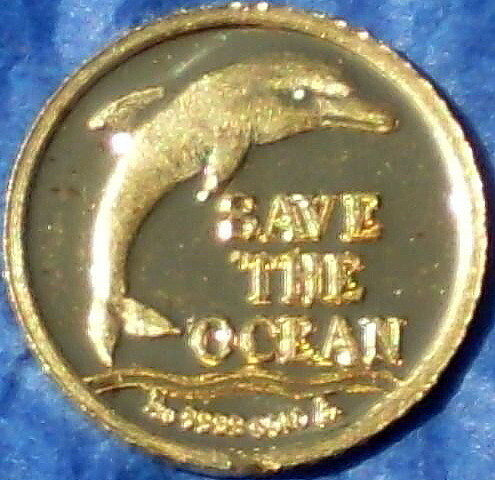 The Hawaiiana Numismatic buying frenzy on eBay missed this gem. It was also missed by Liberty Dollar collectors. 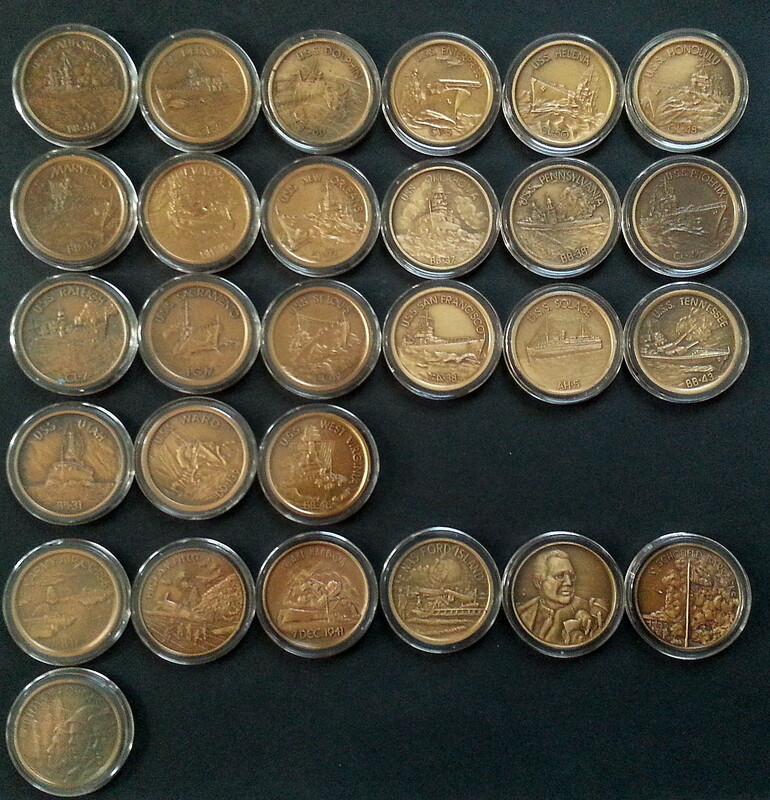 A scant mintage of 20 by the Royal Hawaiian Mint. From my research, this coin is the precursor to the NORFED Miss Liberty obverse design by Bernard von NotHaus. In 1998, the first NORFED Liberty Dollars were issued (listed in the RHM database as 1998 Silver Liberty with Shelter System’s logo). Image below is an original FMR-E06 on First Day postal cover. The term “cover” is an envelop affixed with a stamp and postmarked. A First day Cover has a stamp that is postmarked on its first day of issue. Medal is 39mm Proof. 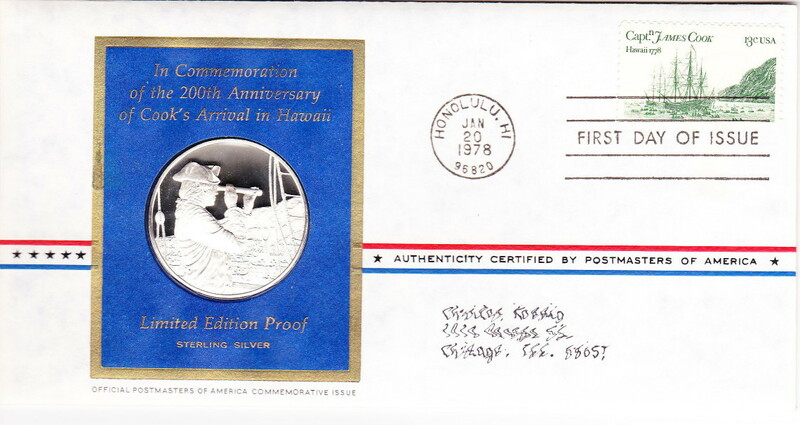 Cover is postmarked Honolulu, Hawaii. The reverse of the cover serves as a COA. The medal features Captain James Cook looking through telescope with Hawaiian sailing canoe and outrigger canoes on ocean background. Omitted in Medcalf & Russell (2nd edition was published in 1991). Note the postmark is dated 1978. The only way to obtain an original FMR-E06 is from a broken-up 1978 Postmasters of America cover set (there are 18 covers in this set). The medal is sometimes sold without the cover (inexperience collectors/dealers remove the silver medal and discard the “envelope” rendering the medal as unidentifiable). 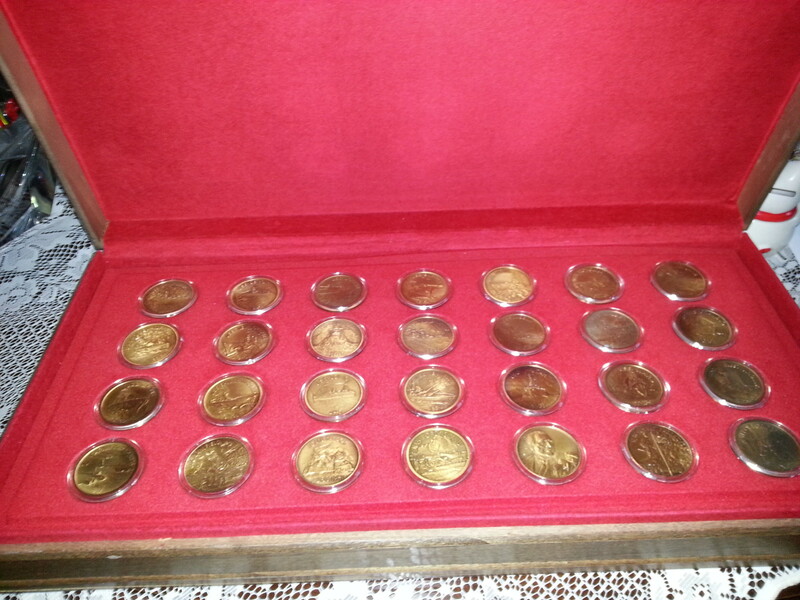 I purchased a complete bronze set in original wooden display box. These medals are individually listed in Medcalf & Russell: 2M-500 through 2M-560 (every 3rd increment is bronze). Complete set (and display box) was purchased for $20 (not a typo). This is a tough coin to locate. Most of the specimens I’ve seen were ex-jewelry. I purchased it on the spot today. It does not look like an ex-jewelry specimen. 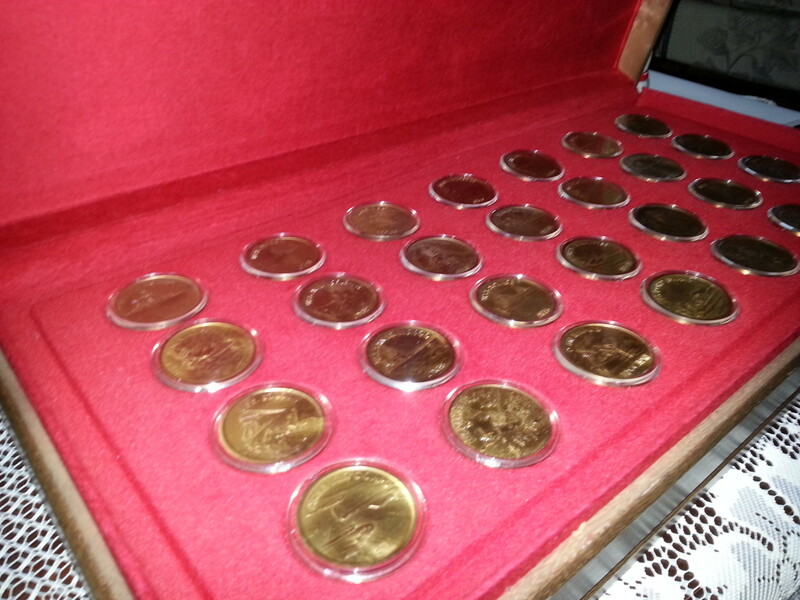 Mintage 225. The 1/20 oz and 1/10 oz Princess Kaiulani obverse are notoriously weakly struck from a worn-out die. In the images you can see the deterioration of the obverse die. Images are from seller eBay seller zeslain_1. Reviewed a few medals in my collection today. 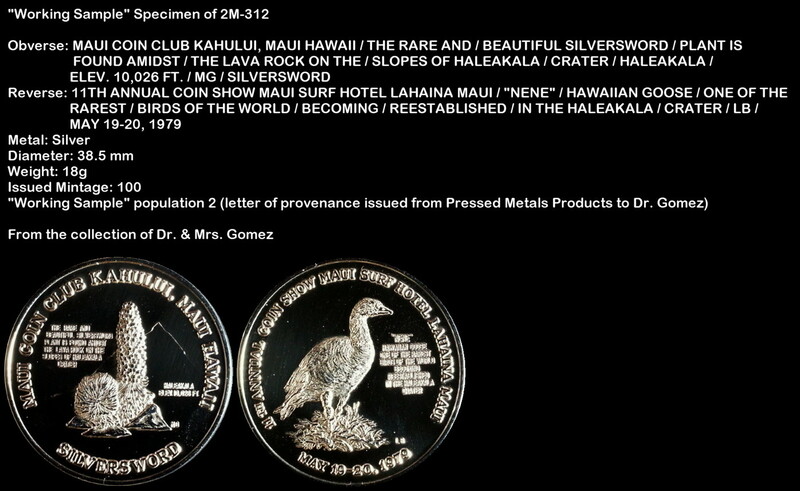 The Maui Coin Club 2M-312 in silver was my coin to share today. I purchased this coin from the original minter (Pressed Metal Products) several months ago. 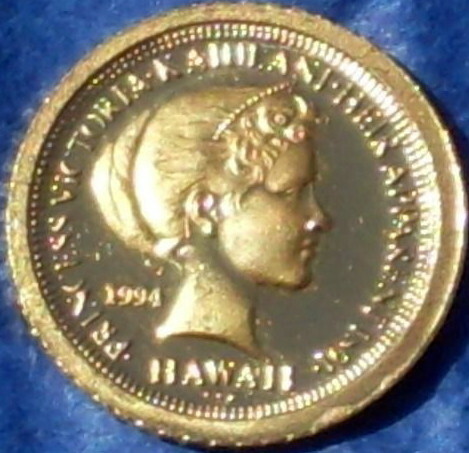 Search my blog for keywords “Maui Coin Club” for the story behind these acquisitions.